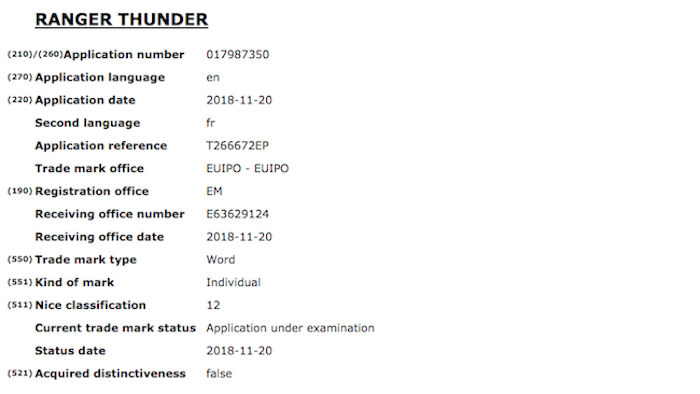 Ford has just filed a trademark application for the Ranger Thunder name. The trademark filing was made with the EUIPO, the European Union Intellectual Property Office. This is likely the name of a special or limited trim level of the Ford Ranger intended to be introduced into certain markets. Whether it’s US/North America bound is yet unknown. Current special/limited trims for the Ranger in international markets includes the Wildtrak, Wildtrak X and Black Edition.